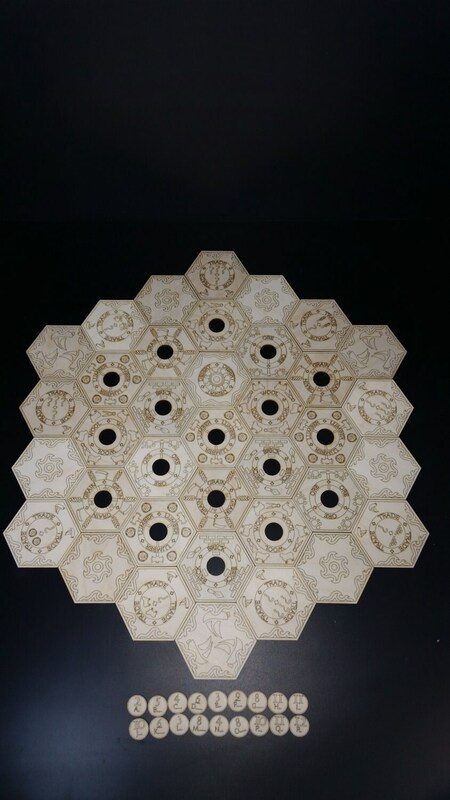 This is a complete set of tiles for Settlers of Catan. The tiles are the exact same size as those found in the game. The four player version includes all the land, water, and trade tiles. 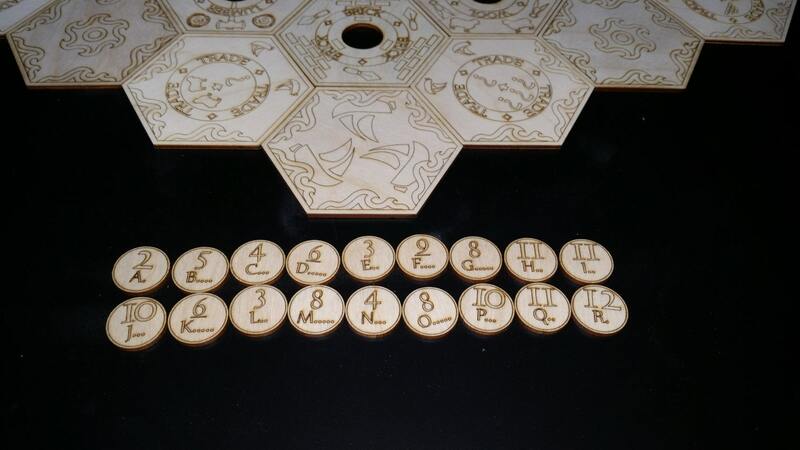 It also includes all the frequency tokens. 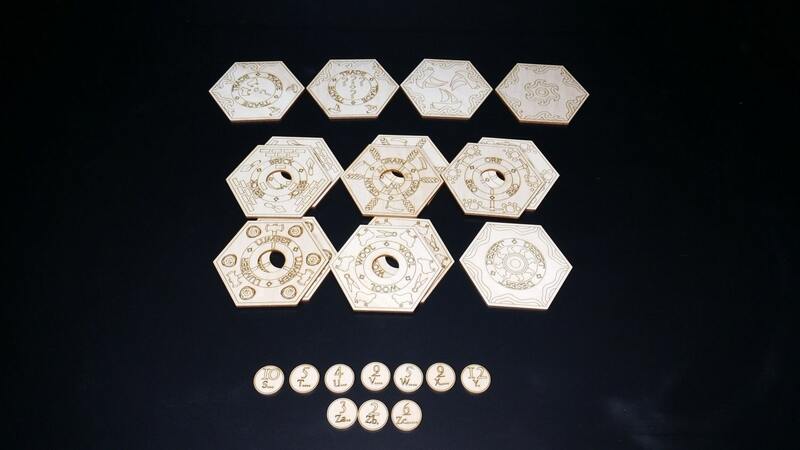 The six player option includes all tiles and tokens from the four player set and adds the 15 additional tiles and the 10 additional frequency tokens. 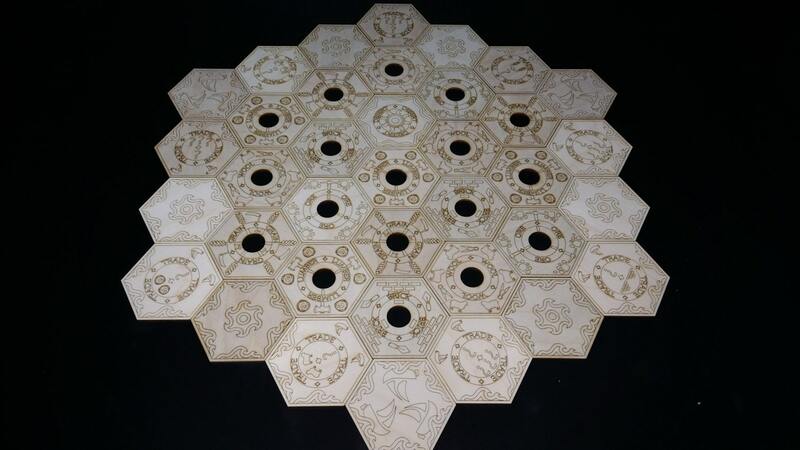 We also offer a 4 player land only set (19 tiles), this is designed to be used with our 4 player Catan board. It does not include any water or port tiles. 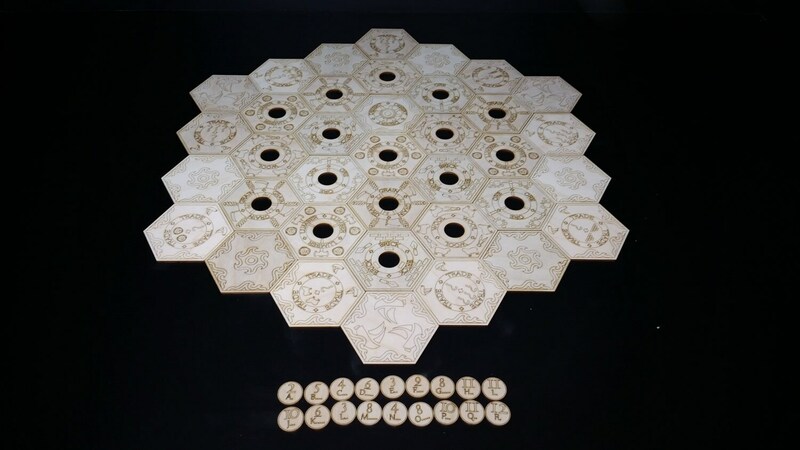 We also offer a 6 player land only set (30 tiles), this is designed to be used with our 6 player Catan board. It does not include any water or port tiles. These pieces are cut out of 1/8" Baltic Birch, they have been sanded and are ready for dye, stain, or finish as you would prefer. If you are in the Salt Lake, Utah area and would like to pick up your item in person, send me a note and I will refund the shipping cost back to you.